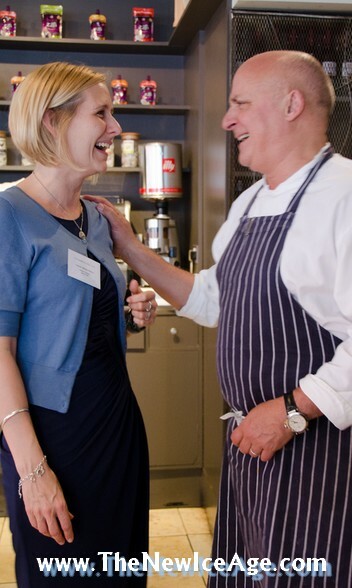 The British Frozen Food Federation and The New Ice Age hosted a lunch at Zilli Fish. The theme was “ Favour Frozen ” and Yvonne spoke about the benefits of frozen foods including the nutritional side, the cost effective aspect and the creation of less waste. Brian Young, Director General of The British Frozen Food Federation (BFFF), Yvonne Bishop-Weston, The New Ice Age’s resident nutritionist, and chef and frozen food supporter Aldo Zilli were at the lunch to answer questions. Contact One for more details, pictures, research results etc.